Shelter like a doghouse is essential for any animal. Here in New Mexico the weather can change drastically at a moments notice. From high winds to hail storms, scorching heat to freezing cold there are a lot of reasons to duck and cover. A place to get out of extreme weather conditions should always be available to your dog. We have houses for all sizes of dogs. We carry sturdy plastic igloo style units as well as locally made wooden houses. You do have some things to think about when looking for a new house for your friend. How large is your dog? You want the house to be just large enough for your dog to duck in through the door and turn around inside. If the house is too large it will not keep your dog warm in the winter, too small and your dog may not feel comfortable using it. Do you have multiple dogs? In a multiple dog household the dogs may get very attached even to the point of sharing a house. If you think your dogs are likely to seek shelter together make sure to get something they can both/all fit in. 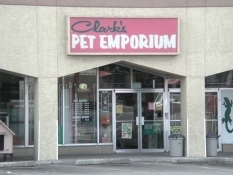 We also carry a great assortment of other backyard gear; bedding, automatic refilling water bowls, toys, cleaning supplies and more. 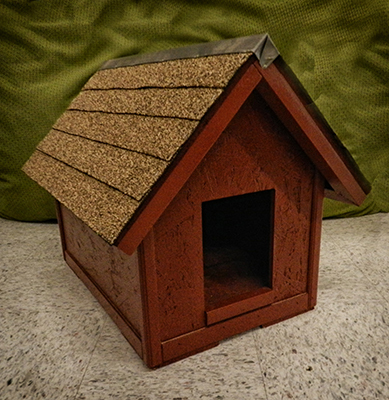 We offer quality dog houses made here in Albuquerque.